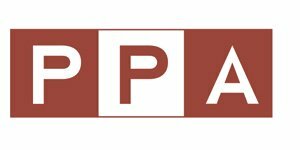 The Professional Photographers of America (PPA) is the largest photographic association in the world with over 30,000 members. 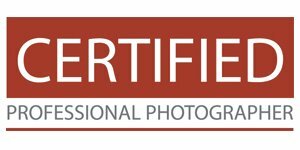 I joined the organization in 1995 and received my Certified Professional Photographers award (CPP) in 2004 after passing a stringent test and review of my work. Every three years, the CPP must be renewed to stay qualified. This is achieved by attending seminars and conventions to stay current on the ever changing technology. I received the Master Photographers Degree through the PPA in 2005. The PPA holds one convention each year that is typically attended by over 10,000 members. As annual International Print Exhibit Competition is also held, where merits towards degrees and awards are presented. The Wisconsin Professional Photographers Association, Inc. (WPPA) is a statewide affiliate of the PPA that hosts two conventions a year. I joined in 1995 and have served on the Board from 2005 until spring of 2018. I served as the President of the association 2012-2013. In 2012, I received my Associate Fellowship for service to the organization and in 2014 I received two Bronze Bars for participation in Print Competition. The WPPA is dedicated to professionalism within the photography industry, education and networking. It is through these tenets that our members strive to be better business-persons, artists, and community members. I served as Past President/Advisor on the Executive Board for 2017-2018. 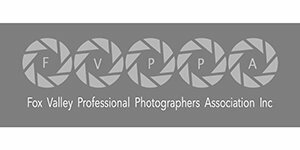 The Fox Valley Professional Photographers Association, Inc. (FVPPA) is one of three Regional organizations within the state of Wisconsin. They meet a minimum of six times a year for seminars, print competitions and networking. I joined the organization in 1995 and received my Fellowship in 2002. I received additional Bars for service in 2004, 2006, 2008, 2010 and 2012. I served as the President in 2004-2005 and had served on the Executive Board from 2000 to 2015. The American Society of Photographers (ASP) is made up of a group of PPA Degree holders dedicated to the advancement of the art of photography. I've been a member since 2008.